Travelling isn’t always smooth sailing and hassle-free. 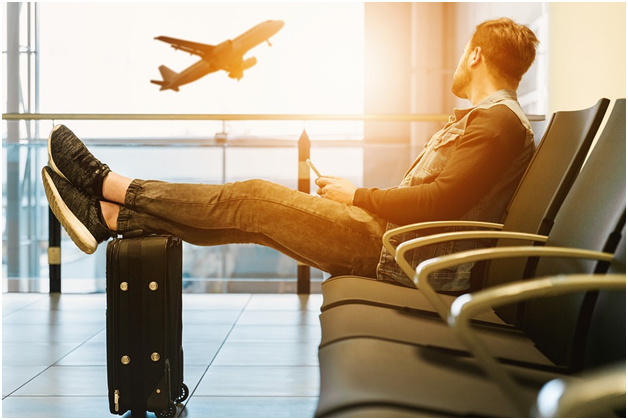 Passengers often come across with issues related to trip like long flight delays (or tarmac delays), sudden cancellations, denied boarding, missed a connecting flight, lost luggage and, recently – not enough seats as well! This article about what to do when your flight goes wrong is perfect to know what you can do in such situations? What are your air passenger rights? The role of travel insurance as well as some top tips to ensure you are as prepared as possible. Next time you experience an air travel annoyance, these tips will surely help you rebook your flight, getting flight delay compensation, and take care of your needs while you wait. What facilities and compensation should you get for flight delay? Any flight delay greater than three hours covered under EU law makes you eligible for monetary compensation. The amount of compensation depends on factors like length of delay, and the distance of your journey. You must get meals and refreshments from airline during the delay period along with access to communications. Overnight hotel stays with ground transportation facility also falls under this. My flight has been delayed or canceled. What are my rights? You’re waiting at the boarding gate, and you get the dreaded announcement of flight delay or cancellation. When you check your flight status it shows it has been delayed by an hour or six. Or, it’s suddenly canceled due to any reason, and you have to move to a different gate which is on the other side of the airport. If your flight gets delayed you need to understand the reason behind it to get the correct solution. You may simply ask the airline staff to rebook for the next available flight or wait at the airport. If the reason is the airline’s fault-mechanical issues, for instance, they may offer to pay for stay and meals during an overnight delay. This option is not applicable if the reason is bad weather. Use the airline’s app or call the airline customer service person and check out all the options. There are rules and regulations that support travelers and advice for eligible compensation for flight disruptions caused by the airlines. Though the law varies from country to country, they are present domestically and internationally (in the US, Europe, and beyond). In short, if a person travels on a flight, they have legal rights. The problem is the lack of awareness of any such law or even that passenger rights exist. In fact, 85% of EU and 92% of US air passengers don’t know their rights. These rules also apply for frequent flyers. Sometimes it happens that airlines mislead the customers in order avoid paying compensation. In such cases, air passengers can seek help from Claim Flights which is a licensed and registered European Claim and Legal Service Company. 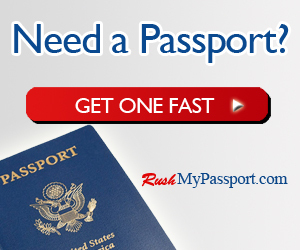 They provide assistance with legal claims for flight delays and cancellations. Air passengers can even use their free flight delay compensation calculator to check how much compensation they can claim from airlines. If your delay exceeds five hours, apart from compensating for your time loss, you are entitled to a complete or partial refund of your original ticket and a return flight to your point of departure, if needed. If you get an option of an alternative flight and are lucky enough for an upgrade, the airline isn’t allowed to charge you anything extra on the current ticket cost. Rather, if the alternative flight class is lower, you can get a 30-75% reimbursement of the price you originally paid. If the delay is caused by “extraordinary circumstances”, the air carrier can completely avoid compensating passengers. These situations include medical emergencies, lightning strikes, air traffic control strikes, air traffic control restrictions, serious adverse weather conditions or sudden malfunctioning of the airport radar, political unrest, acts of sabotage/terrorism. If your flight is delayed over and above five hours and your trip no longer has a travel purpose, you are entitled to have the ticket cost refunded. This covers any part of the entire journey you’ve already completed and any unused parts. But, it doesn’t include accommodation or other holiday expenses. You are also entitled to a flight back to your original departure airport, in case you have completed part of your journey. Please note, that if you opt to buy a replacement ticket using the refund amount from your delayed flight, it may cost you more. Your passenger rights will differ and depend on the terms and conditions of the airline authority. Some airlines may provide food and refreshments and others won’t. If they don’t, you should be able to buy your own and make a reimbursement claim under the Montreal Convention. Remember to keep all the receipts and only buy what is required utmost. With travelers flying further to other destination and need to get on to multiple flights, all you wish to arrive at the airport on time. And if anyone of those connecting flights gets delayed, canceled without any warning it can cause you to miss your connecting flight due to delay. And when you’ve missed your flight, it creates chaos and your dream trip turn into a nightmare. Did you know that you may be eligible for compensation if the airline is responsible for you missing your flight connection? It’s the airline’s responsibility to find you another flight to the final destination on your ticket in case of missing the connecting flight because of delay. In such circumstances, you could be entitled to compensation up to €600 under European laws. This is applicable if you arrive later than 3 hours at your final destination. Taking off from an EU airport and flight operated by any airline. Arriving at an EU airport and flight operated by an EU airline. In case you don’t get your luggage on time, you’ll need to file a claim with your airline. Airlines usually agree to pay “reasonable expenses” until the luggage gets found. The amount paid depends on negotiation, and you may have to fight for a decent payment. If your luggage gets lost, you can file a second claim, which takes some time to process. It takes around six weeks to three months for reimbursement. Although, some airlines are much more efficient than others. In the U.S a liability limit of $3,400 applies for lost/damaged luggage. On international flights, the liability limit may differ. Any expenses paid by you towards luggage, all those expenses will be refunded by the airline. Beware of deadlines! If you anyhow miss the claim filing deadlines, the airline will not reimburse you for your luggage. For damaged luggage, the airline can compensate for repair or replacement. Be aware that fragile items or those that the airline declares were not packaged as per standard enough may not be eligible for compensation. Your airline or tour operator has a responsibility to look after you at the airport in case of flight delay. You should be in constant touch with them for the latest information. Your travel insurance policy will be very useful to claim further compensation. Most travel insurance policies provide cover for travel delay along with trip cancellation. This becomes applicable if your flight gets delayed by more than 12 hours due to strike, mechanical breakdown or adverse weather. Such cover usually includes a fixed benefit to help you cover additional expenses such as food and drink during the waiting hours at the airport. Tim, thanks for such a helpful post. But, so many ads on this post, why don’t you limit the ads, and show most of the text for your readers. Clarke, there are two Google Ads. One on top, one on bottom. Very standard, in fact, less than most sites. It does appear you just came to drop a link and promote your own site, so I deleted that. Come back again soon and participate and I’ll let you link out.